The “We All Have a Story: Pro-diversity and Pro-inclusion in Kindergartens ” project was an extremely satisfying and rewarding experience. 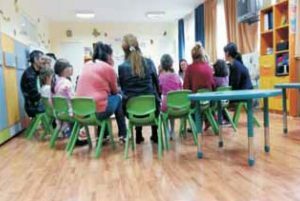 It was AMURTEL Romania’s first opportunity to bring Neohumanist Education approaches, developed in our “Gradinita Rasarit” kindergarten, to a wider public, benefitting more than 150 kindergarten teachers and 1500 young children. The project took place in Romania from March 2014-April 2016, financed by a grant from SEE 2009-2014 Norwegian grants (NGO Fund Romania). AMURTEL Romania was one of three partners in the project, together with “Center for Equal Partnership”, an organisation working for gender equality, and Romanobutiq, a Roma rights organisation. The basic premise of the project was that the best antidote to stereotypes and prejudice is friendship, and that friendship is best facilitated by listening to each other’s life experiences. This leads to discovering human similarities as well as the beauty of our uniqueness. As young children are particularly vulnerable to assimilating stereotypes and prejudices, yet also can easily be open to and empathise with new people that they meet, the project aimed to conscientiously create positive exposure to diversity through cultivating authentic relationships. The first step, however, was to work with teachers. As children learn through imitation, they pick up on attitudes, non-verbal cues, and other implicit, often unconscious messages about who is important and who is unimportant or uncomfortable. Children’s hearts are naturally open and accepting, but they look to the adults that they trust to keep them safe, and pick up on their fears and biases. As most stereotypes and prejudices exist on a subconscious level of the mind they can be difficult to detect. It takes conscious, sustained effort to become aware of limiting attitudes and to uproot them from an adult mind. The journey began in 2014, with a series of five workshops, each three days long. Altogether, 104 kindergarten teachers participated from 37 kindergartens in Bucharest. The first day, led by CPE, focused on gender stereotyping, and the very different expectations that teachers routinely communicate to little boys and little girls. The second day focused on the history of the Roma people, and the dynamics of exclusion. The third day, led by AMURTEL, focused on the integration of children with special needs alongside typically developing peers, as well as the obstacles that people with disabilities face, often due to invisibility and lack of compassionate consideration. Next, the project organized three different practical one-day workshop sessions, focusing on methods that promote inclusion and socio-emotional competencies. In the first workshop, participants learned how to use the “Persona Dolls” method. In this method teachers create a realistic biography for a doll that seeks to reflect the diversity present and also invisible in the school. The biographical background of the doll details the family structure, parents’ employment or lack of employment, favorite and least favorite foods, activities, hobbies, friends, etc. It is important to document the continuing development and evolution of the character so that it remains as coherent and consistent over time as possible, adding to the depth and believability of the character. ASCIS, which is another NGO that runs a social enterprise to employ disadvantaged single mothers, produced handmade dolls with a variety of skin colors, sizes, abilities, etc. The dolls were then given to the teachers that had attended the course. In total, there were 81 participants, from 29 kindergartens during the six “Persona Dolls” sessions held. A workshop on “Sand Play” followed. In this method, children are encouraged to express themselves creatively, playing with symbolic figures in a defined space. 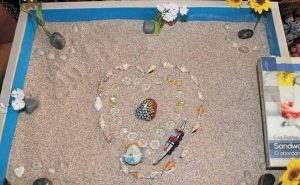 A box or tray is filled with sand, and children choose from a selection of objects and figurines and spontaneously arrange and rearrange them in the space. This type of play often reveals deeper dynamics occurring within the child’s psyche and relationships and can provide a useful mirror for teachers to better understand the child. Children will often narrate their play, and it thus gives them a safe way to express and work through fears and fantasies. During the 5 sessions of this workshop, a total of 57 teachers from 25 kindergartens participated. The final workshop, “Life Stories” followed, and was one of the key moments of the project. Several very courageous and open volunteers, both Roma and with sensorial or loco-motor disabilities, joined the training to share their personal experiences of living with discrimination due to their Roma ethnicity or disabilities, but also to share glimpses of their everyday lives, hopes, dreams and feelings. This sharing was extremely effective in helping teachers, many of whom did not yet have friends or intimate contact with people from another ethnicity or with a disability, to connect, empathise and become sensitized to these issues in a much more personal way. All of the participants, including the volunteers received coaching and guidance in shaping personal experiences into engaging stories for small children by slowing down, adding descriptive detail and using tone of voice. There were 4 training sessions and a total of 78 teachers from 23 kindergartens participated. Located on the outskirts of Bucharest, many people are still unfamiliar with the existence of the Museum of Roma Culture, which was started by one of the project partners, Romanobutiq. However, for one week in March, 471 children and 42 teachers had the unique and unforgettable opportunity to experience and interact with a living museum of Roma friends, who led workshops for the children that exposed them to a new experience of Roma culture. Mr. Ion, a traditional Roma silversmith, told the fascinated children the story of how he learned to work with silver from his grandfather. As a child his favorite toys were a little hammer and anvil his grandfather had fashioned for him so that they could “work” side by side. His grandfather would enchant him with stories about a prince that lived within the metal, just waiting to have a chance to be seen. The trade had been passed down in his family for generations, and there were many children listening to his stories that declared that they wanted to become silversmiths too! He gave them the opportunity to see all of his tools, and to fashion some small objects from metal wire together. 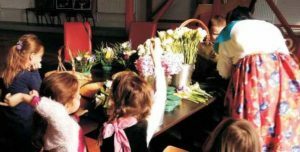 Violeta, the florist was quiet and shy, but warmly drew the children into thoughtfully arranging flowers into beautiful bouquets. In her family, generations of women have passed down the art of floral arrangement to their daughters. Dan, on the other hand is the drummer for a famous Romanian rock band, and gave the children the chance to play the drums which was a big hit! Though the music he plays is more modern, his family also has been “lautari” or minstrels for hundreds of years, stretching back to the times when Roma from India entertained Turkish kings with their music and performing arts. And finally, George Vasilescu, one of the few well-known Roma painters, led a painting workshop with the children and presented a gallery of paintings about Roma people. The children had also seen a video of a young Roma boy that makes a covered wagon as a project for his school to describe his family history. The wagon gets accidentally crushed in his backpack, but then as he remodels it, he tells a friend about the journey of the Roma from India, which is depicted in beautiful clay-mation. Thus the children’s paintings were full of caravans, drums, flowers and jewelry! 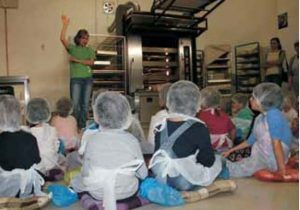 Another 607 children and 65 teachers visited “Mamapan”, the social enterprise of the lead partner “CPE” which hires only women that are single mothers to run a bakery business. Children saw the entire process of bread making and shaped dough into small loaves which they took home to eat. Many were impressed to see women driving the big bakery van, as in Romania, it is still rare to see women drivers. A group of young adults with visual disabilities that volunteered their time during our “Life Stories” training, revealed an unexpected surprise: they were also actors in a “Sensorial Theater” troupe! Unlike traditional forms of theater, in which spectators watch actors on stage, in this form of theater, the spectator is a direct participant in the experience. The actors prepare a labyrinth, and blindfolded participants then are guided to touch, smell, taste and listen as they are led through the story. The project team was impressed and fascinated with this experiential form of theater and so requested the troupe of actors to design a special version of the sensorial theater for children. The result was a fanciful story about a little lost snail, and the children wound their way through a spiral shell, meeting various characters along the way in the darkened labyrinth, who invited them to experience their world through taste, smell and touch. 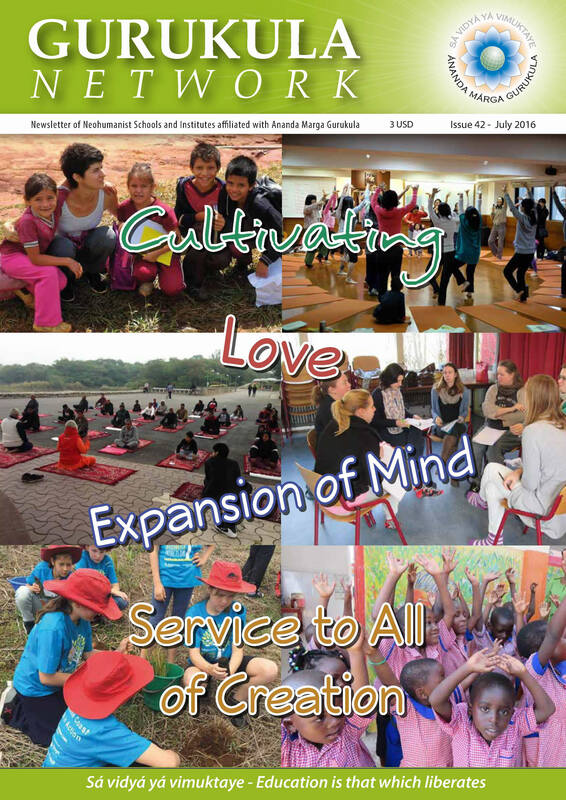 There were 184 children and 19 teachers that had this unique experience. Didi and Magda then led practical demonstrations and coaching sessions in 25 kindergartens with 728 children and 156 teachers of the Life Stories and Persona Dolls methods. It was rewarding to observe that the children that had participated in the workshops at the Roma museum did not come forward with the usual stereotypes that most children spontaneously burst out with when asked about what they know about the Roma (that they are dirty, bad, steal, etc). Rather they excitedly said – ooh they make jewelry, or they play drums! etc. The project ended with a festival celebrating Diversity, with many workshops, sensorial theater, storytelling etc. open for the public. It was attended by more than 200 people. 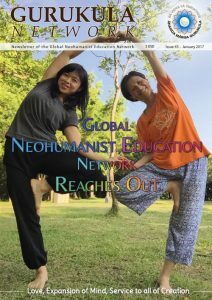 There were also several advocacy actions, including an analysis of the current national curriculum from the perspective of inclusivity, a series of lesson plans on diversity, two round table events with authorities in education and an exchange experience about persona dolls with an expert from Hungary.